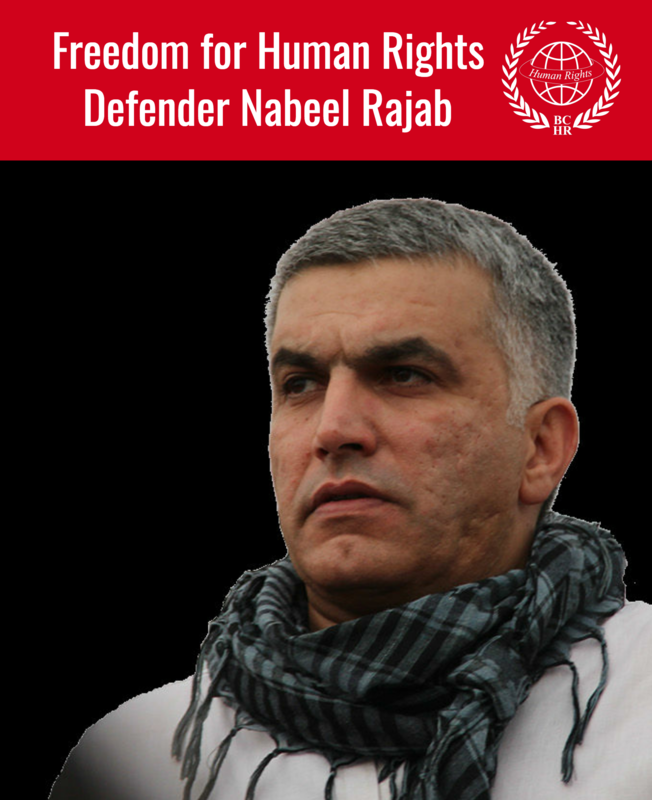 The Gulf Centre for Human Rights (GCHR) and the Bahrain Centre for Human Rights (BCHR) have received information that On 25 December 2012 after a summary review at the Public Prosecution Office, the arbitrary detention of human rights defender Said Yousif Al-Muhafdhah has been extended for a further two weeks. Another similar review is expected on 9 January 2013. Said Yousif Al-Muhafdhah is the Vice President and Head of Documentation Unit of the Bahrain Center for Human Rights (BCHR). On 17 Dec 2012 human rights defender Said Yousif Al-Muhafdha was arrested while monitoring a protest in Manama and tweeting about the attacks on protesters and violations to their rights. On 18 Dec 2012 he was sent to the public prosecution where he was interrogated on the charge of “disseminating false news over twitter”. He was given detention order of 7 days pending investigation. Said Yousif Al-Muhafdhah is being kept in Hoora police station with some detainees who are held over criminal charges and speak neither Arabic nor English. It should be noted that the normal procedure is to transfer detainees who are held for over 7 days to the Dry Dock detention centre. Reliable reports suggested that isolating Al-Muhafdhah from other prisoners of conscience is intended to prevent him from getting information about the violations occurring widely in Bahraini prisons. During his recent detention (2-14 Nov 2012), he shared the information about abuses against prisoners with a visiting group from International Committee of the Red Cross (ICRC). The GCHR and BCHR believe that Said Yousif Al-Muhafdha has been targeted mainly due to his human rights activities in reporting and documenting human rights violations and that his arbitrary detention is intended to suspend these legitimate activities, at a time that other leading human rights defenders are also imprisoned including the co-founder of the BCHR and GCHR Abdulhadi Al-Khawaja and president of the BCHR and director of GCHR Nabeel Rajab. 1. Immediately release detained human rights defender Sayed Yousif Al-Muhafdhah and drop all charges against him. The GCHR and BCHR believe that these measures have been taken against him solely due to his legitimate and peaceful work in defence of human rights, and freedom of expression in accordance to the Universal Declaration of Human Rights; 2. 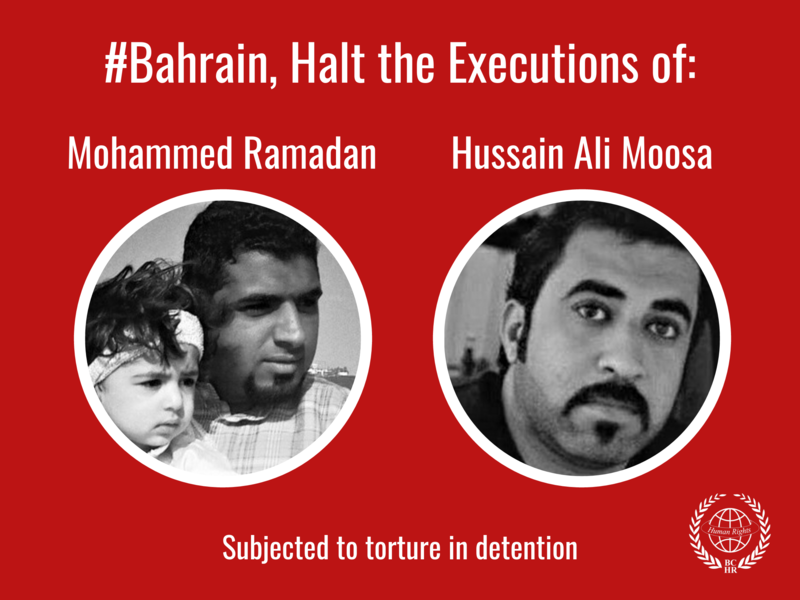 Immediately and unconditionally release all prisoners of conscience and activists including leading human rights defenders Abdulhadi Al-Khawaja, and Nabeel Rajab. 3. Immediately stop all actions that restrict freedom of opinion and expression, or prevent the transmission of information online. 4. Guarantee in all circumstances that all human rights defenders in Bahrain are able to carry out their legitimate human rights activities without fear of reprisals, and free of all restrictions including judicial harassment.